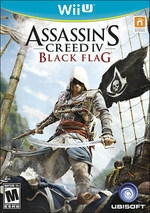 Assassin’s Creed IV Black Flag begins in 1715, when pirates established a lawless republic in the Caribbean and ruled the land and seas. These outlaws paralyzed navies, halted international trade, and plundered vast fortunes. They threatened the power structures that ruled Europe, inspired the imaginations of millions, and left a legacy that still endures. Despite my issues with the paths that are laid out before you, Black Flag is great fun when you let your impulses guide you. Whether you want to hunt animals or unearth Mayan relics, it caters to obsessive gamers with a multitude of objectives to cross off the checklist. Plus, so many different activities are available that I could hardly sail between destinations without getting sidetracked three or four times on the way. 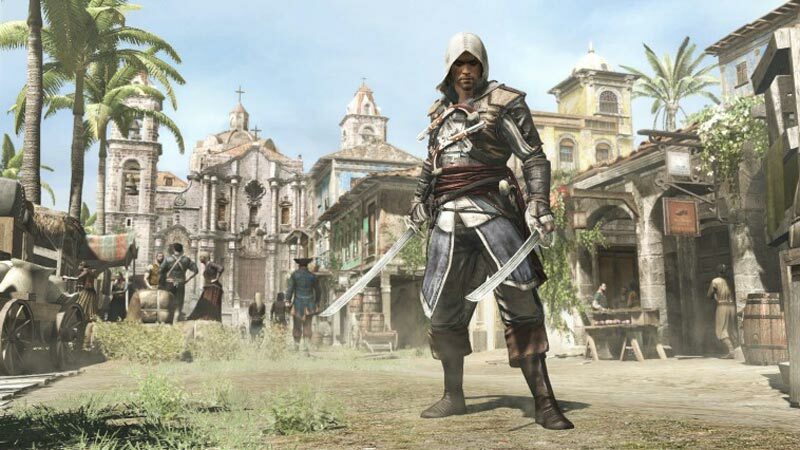 Black Flag is at its best when it allows the player to exist organically in its immensely beautiful and consuming open world. While the bulk of the game is exceptionally crafted, there are rough edges that keep it from reaching the masterful heights to which it aspires. Story missions that require swift execution and a careful step accentuate the clumsiness of the free-running mechanics, and can make the occasional sequence a bother to play. That, combined with low frame counts, will be sure to hinder the experience for some, but we don’t think it’s quite enough to take your sights off the captain’s deck. 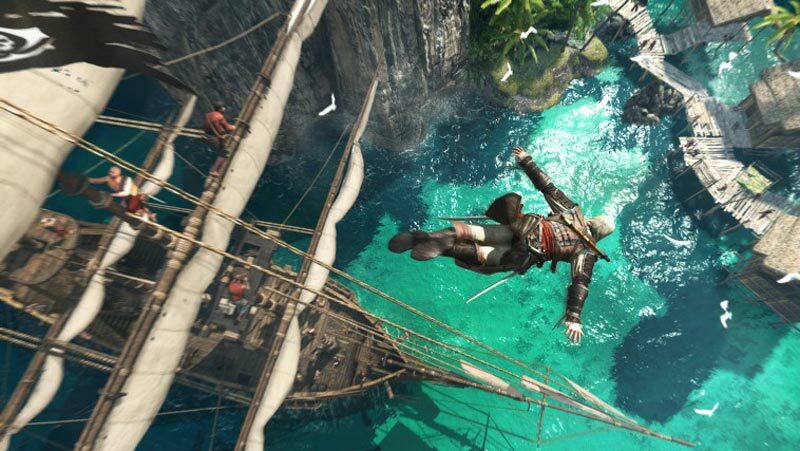 Assassin’s Creed 4: Black Flag is right up there with the best games in the series. Building a game entirely around the sea based features found in ACIII sounded gimmicky when it was announced earlier this year, but Ubisoft nailed it on all fronts. It’s a beautiful game, it’s fun to play, and it’ll last you tens of hours to complete. What more can you ask for? 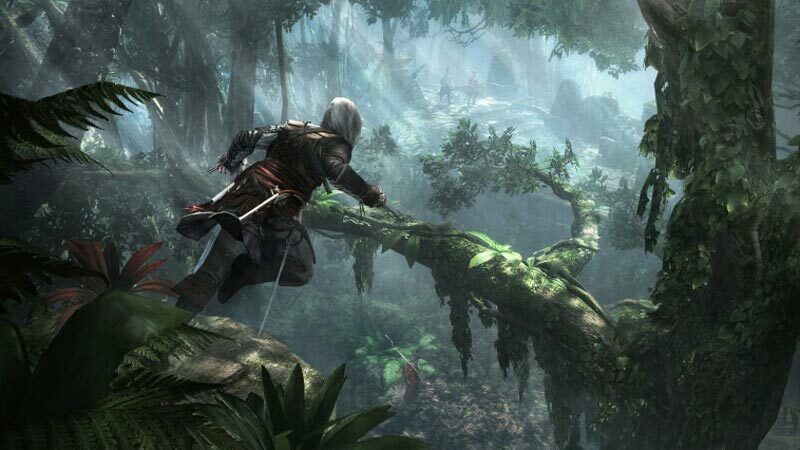 We’ll likely be seeing more of Assassin’s Creed in 2014, and just what’s up their sleeve for the next game, just got a lot more interesting. 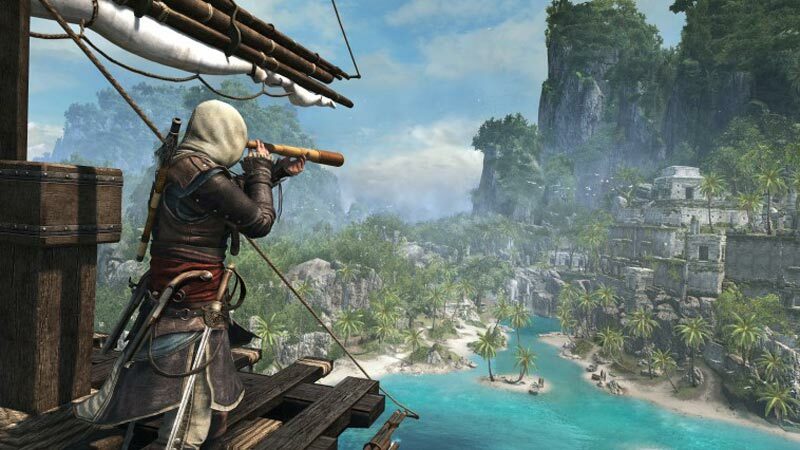 The amazing world of Assassin’s Creed IV: Black Flag has kept me gladly occupied for longer than any other game in the series, even though its story isn’t the strongest. At no point in my dozens of hours was I ever at a loss for something to do. Simply sailing wherever the wind takes me and seeing what sort of trouble I can get into is a complete joy. Beyond the underwhelming main campaign, Black Flag delivers a world brimming with gorgeous places to go, amazing secrets to discover, and nefarious pirates to stab. Le système de free run, notamment, n'est pas du tout adapté aux environnements étriqués que sont les bateaux de pirates, tandis que l'IA des gardes est de moins en moins facile à avaler. Reste que l'ambiance proposée est tout simplement excellente, que l'univers est passionnant à explorer et très vaste, que la liberté offerte au joueur est totale, que l'immersion est enivrante et que le multi est plus riche que jamais. Bref, il s'agit d'un jeu tout en nuances, qui mérite tout de même le coup d'oeil, notamment si vous êtes un amateur de la série ou de l'univers de la piraterie. 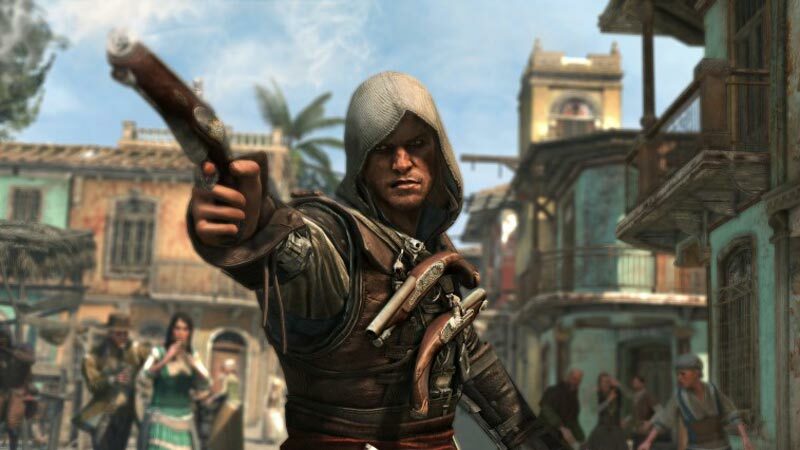 Como série anual, Assassin’s Creed pisa o limiar da saturação, arriscando o descrédito por parte dos jogadores. Um dos méritos de Black Flag está em conseguir fugir dessa maldição ao apostar em mecânicas verdadeiramente interessantes. A exploração naval é um mar de virtudes, conseguindo oferecer horas de diversão e inúmeros pontos de interesse.